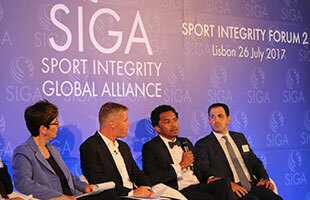 Michael Pedersen moderated the panel session on youth development and protection of minors in sport at the second Integrity Forum of Sport Integrity Global Alliance (SIGA). 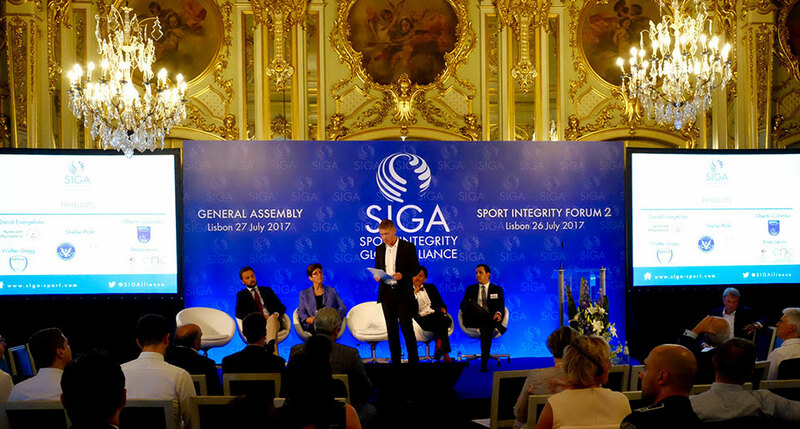 The Integrity Forum, which took place in Lisbon, Portugal on 26 July 2017, brought together approx. 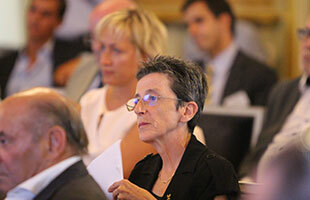 100 participants from across sports, countries, regions and stakeholder groups. Shellie Pfohl emphasized, among other challenges, that there is a lack of data on the prevalence of emotional, physical and sexual misconduct and abuse of children in sport. 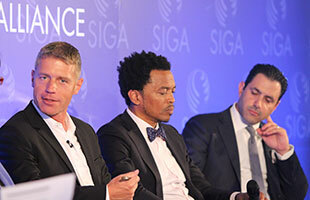 She also pointed out that it is difficult to attract funding because of the ‘heaviness’ of the subject matter. Another challenge highlighted by Shellie is for dedicated organizations to strike the delicate balance between being able to work with sport organizations to prevent child abuse while at the same time being able to investigate potential cases of abuse too. As for solutions, she advocated partnerships with sport organizations at all levels of sport along with customized policies. Shellie Pfohl also called for extensive education of parents as well as coaches, administrators and athletes. 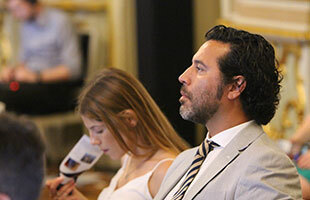 David Evangelista stressed, among other challenges, that the development of solutions to protect children and youth in sport is becoming highly politicized. He suggested to ensure that youth is given a voice in developing solutions and to develop means of motivating sponsors to participate in and fund efforts too. David also highlighted that Special Olympics and UNICEF have collaborated in developing a guide on how to deal with the issues. 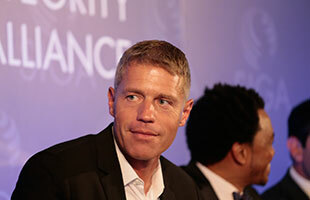 Brian Lewis emphasized, among other points, that child abuse in sport takes many forms. According to him, it includes human trafficking, exploitation for financial and commercial purposes as well as physical, sexual and emotional abuse. 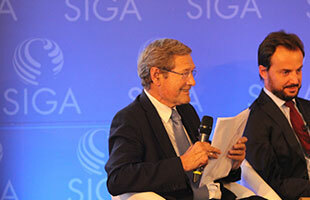 Brian pointed out that the basis for effective solutions is for everybody to take the issues seriously. He also strongly advocated for stakeholder engagement and for establishing KPIs and linking them to eligibility for funding. 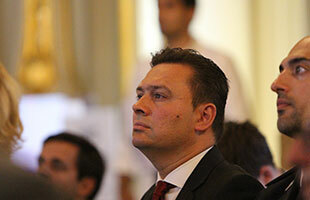 Alberto Colombo highlighted, among other points, that football ought to be the first sport to show responsibility in addressing issues. 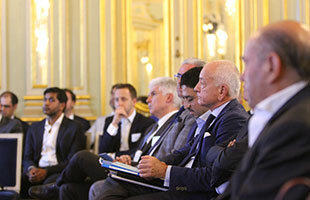 With a reference to EPFL’s collaboration with Transparency International in developing solutions to address match-fixing, he suggested that relevant stakeholders come together in taking a principled stand and improving the regulatory framework. 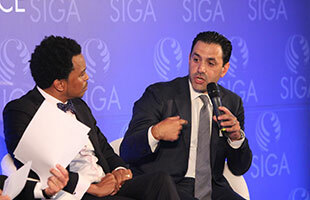 Alberto emphasized that such efforts would be particularly valuable in supporting and protecting small and medium-sized football clubs. These clubs, investing their resources into grassroots and youth development, play a critical educational role. Supporting and protecting them would be the best way of protecting children and young adults from the threats of moving or being transferred at a too early stage of their lives. 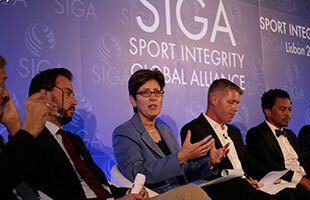 SIGA is an independent multi-stakeholder alliance, which brings together individuals and organizations across sports, countries and stakeholder groups. Founding members and founding supporters include stakeholders such as national, regional and international sport organisations as well as governments, inter-governmental bodies, sponsors, media broadcasters, financial institutions, NGOs, academia and professional services/audit firms. 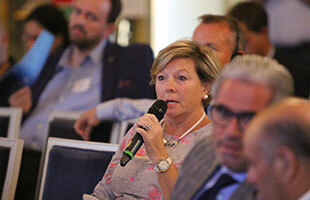 The Alliance offers universal standards on good governance in sport and a comprehensive implementation framework, which takes into account that sport organisations are very different in terms of size, resources and specific governance challenges.